Garnish options: Dill, chives and/or parsley go best! 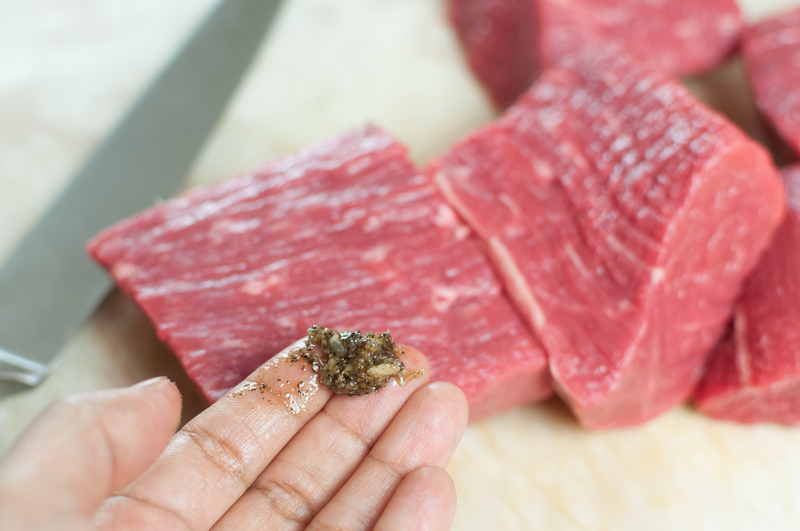 Bring the beef out prior to cooking to get close to room temperature. Pat it dry with paper towels. Cut in 8 even chunks, about 4 oz. each. 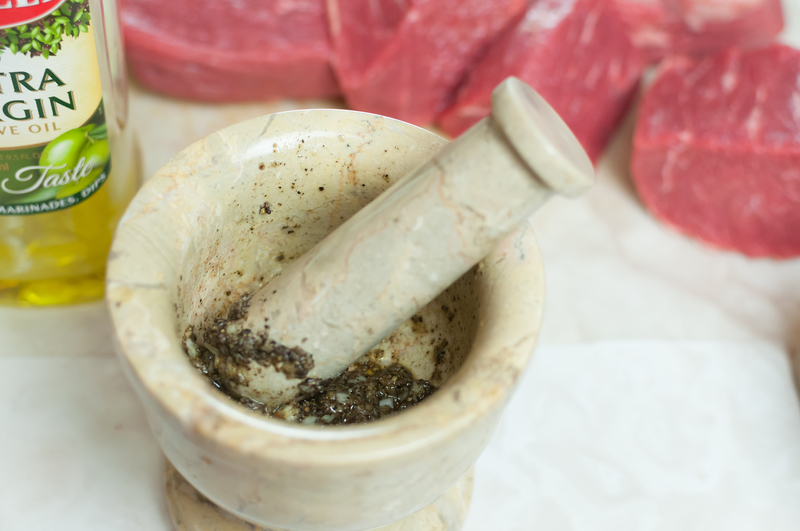 Put the garlic, salt, pepper and olive oil in a mortar and pestle and crush it all until it becomes a paste. This will release the garlic juices and thoroughly combine. If you don’t have one, just mix thoroughly in a small bowl and crush together with a spoon. Rub a small dollop of paste round each beef chunk and massage in. 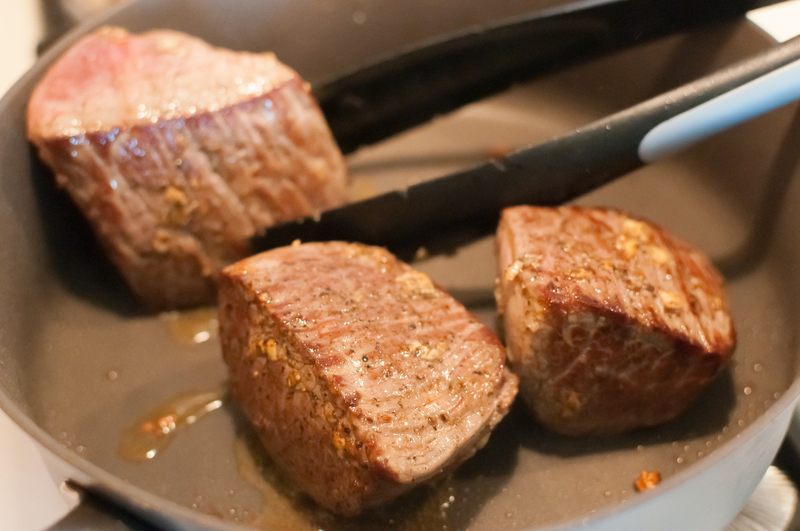 Melt butter in a medium saute pan on medium-heat, and brown all sides of the beef chunks. Don’t over-crowd the pan or beef will not brown. 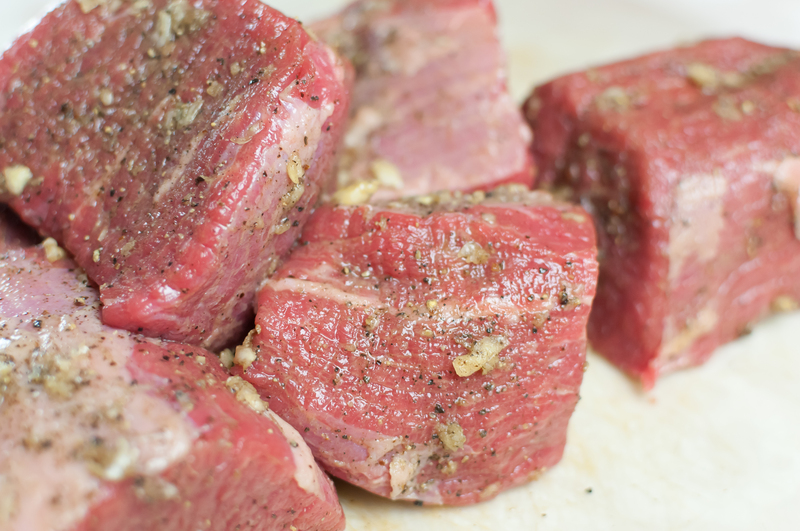 Take out a medium to large crockpot, and move beef chunks in there. Deglaze the pan butter and beef bits with cognac, sherry or wine. 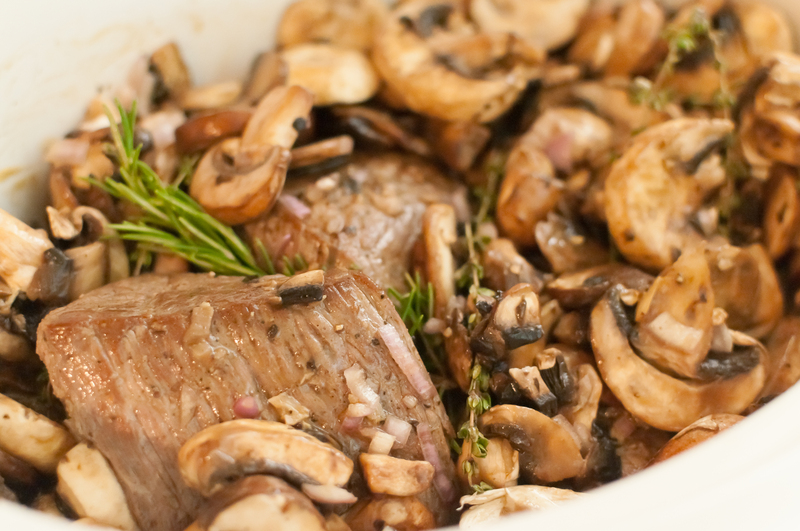 Add the thyme, rosemary, mushrooms, bay leaf and onions all around and on top of beef. Whisk together broth, Worcestershire and tomato paste, and pour evenly over the crockpot mixture. About an hour before the 8-hour mark, boil a pot of water and cook noodles or rice according to instructions. The crockpot liquid should also be hot and bubbly. Mix in the corn starch and milk in the meat and broth to thicken for the last hour of cooking. Remove cooked meat and set aside, loosely covered with foil. If sauce needs more thickening, then turn crockpot to high until thickened as desired. Set crockpot to warm. When thickening of sauce is complete, remove any floating herb sprigs. Fold in sour cream and Dijon mustard, and mix until light brown and creamy. Season with salt and pepper as needed. Put meat back in crockpot and ladle sauce back over it. To serve, place a chunk of beef over noodles or rice, and ladle more sauce over the top. Garnish your choice of herbs. Enjoy! 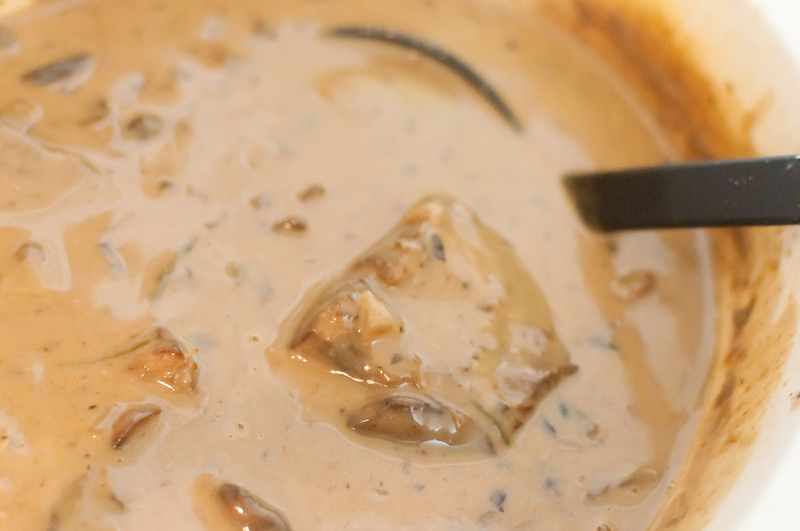 This recipe is well worth the extra work and the BEST beef stroganoff I’ve ever had. My little ones even enjoyed it. I can’t wait to make it again!